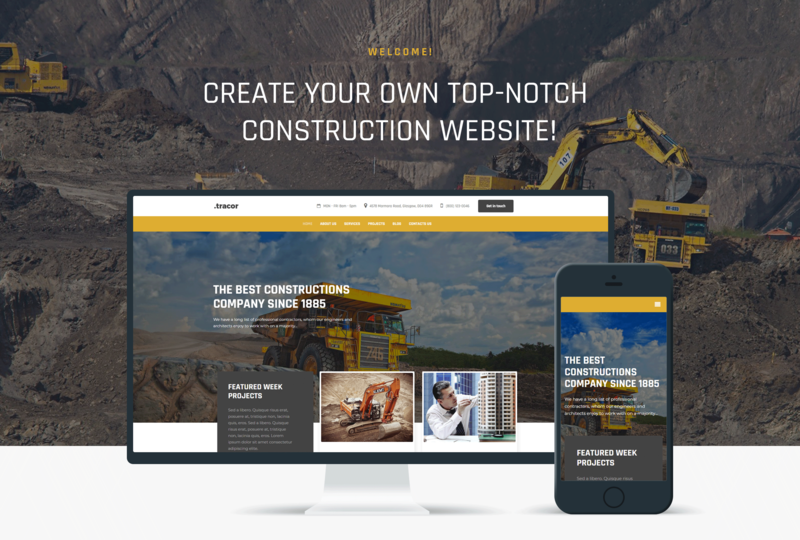 If you are thinking about creating a modern website for presenting your construction company, Tracor is a great variant. With this theme you will be able to provide visitors with all the needed information about your services. It has stylish design and powerful functionality, which you will use according to your requests. You will add information about your company's values, team members, statistics data about successful projects and happy clients and much more using Tracor WordPress theme. Moreover, you will get strong Jet plugins for Elementor page builder. With JetElements plugin you will be able to change content on the pages using varied widgets and applying style settings to them. JetThemeCore plugin will get you an opportunity to select pre-styled sections and insert them into pages easily and quickly. Using JetBlocks plugin you will implement additional functionality to headers and footers. With JetBlog plugin you will be able to add dynamic widgets to the pages. 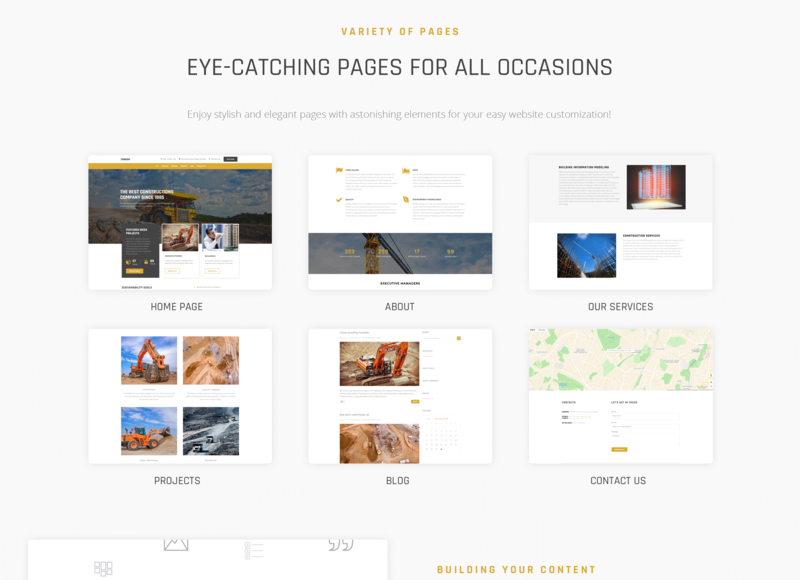 Tracor theme is fully responsive and has a convenient interface.